From Mayawati to Yogi Adityanath to Azam Khan, Uttar Pradesh leaders continue to use Gods for campaigning purposes as the controversy rages on. New Delhi: The war of words over ‘Ali’ and ‘Bajrang Bali’ is taking newer turns in Uttar Pradesh’s politics with each passing day of the ongoing Lok Sabha elections. 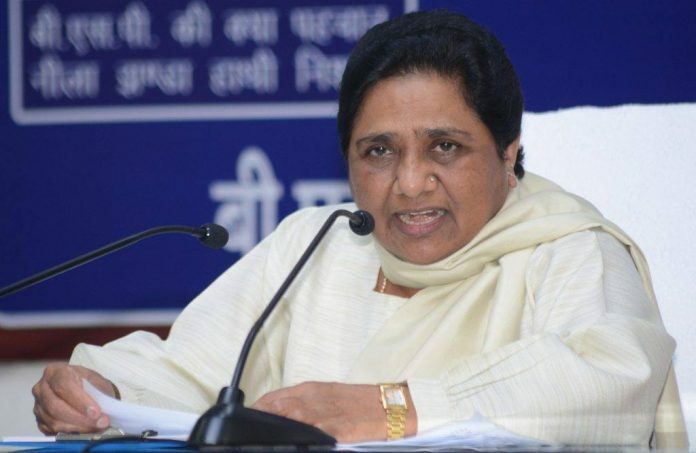 On Saturday, Bahujan Samaj Party (BSP) chief Mayawati expressed regret over the attempts being made to create hatred between followers of “Bajrang Bali and Ali”. Greetings & good wishes to the people for peaceful & prosperous life on Ram Navami. When people are happily remembering the ideals of Shri Ram, it is unfortunate that an attempt is being made to create confrontation & hatred between Bajrang Bali & Ali for narrow political gain. The former UP chief minister’s latest comments come after the war of words took an ugly turn over her initial statement earlier this month urging the Muslim community to not divide their votes between her alliance and the Congress. The Bharatiya Janata Party (BJP) latched on to the political opportunity with Uttar Pradesh CM Yogi Adityanath making the most of it. While ‘Ali’ refers to Prophet Mohammad worshipped in Islam, ‘Bajrang Bali’ refers to Lord Hanuman, the Hindu god who finds mention in the epic Ramayana. Mayawati’s latest comments came in the backdrop of the statements made by Adityanath and Samajwadi Party leader Azam Khan, with both invoking ‘Bajrang Bali’ in their election campaign. The opposition has acknowledged that followers of ‘Bajrang Bali’ will not vote for them, he added. His comments came under the scrutiny of Election Commission which sent him a poll code violation notice and gave him 24 hours to respond. Following Adityanath’s statement, SP leader Azam Khan combined the two Gods’ names and stoked the controversy further. “…in place of Ali and Bajrangbali, it should be Bajrang Ali,” Khan reportedly said during an election rally in Rampur Thursday. Uttar Pradesh will be voting through all the seven phases of the ongoing Lok Sabha elections. The first phase of voting was completed Thursday.